Easiest recipe there is! 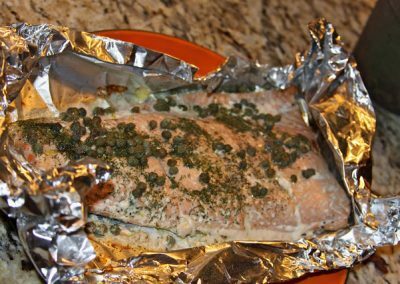 Place a salmon filet on a piece of tin foil, skin side down. Sprinkle with salt and pepper. Then drizzle with Extra Virgin Olive Oil, lemon juice, white wine. 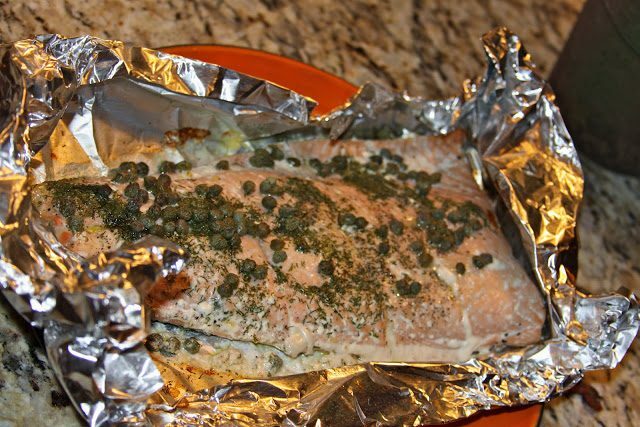 Top with capers and dill. Place on the grill until flakey ~ 8-10 minutes, depending on the thickness of your salmon. Delish!